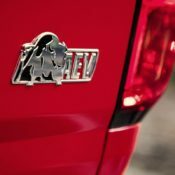 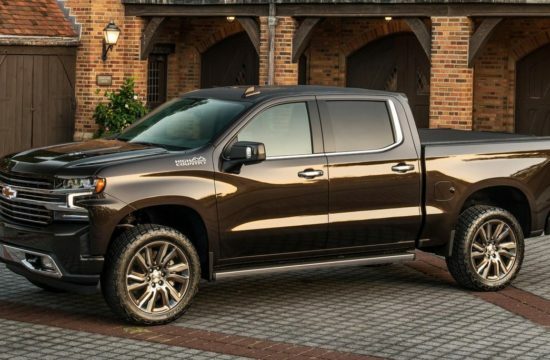 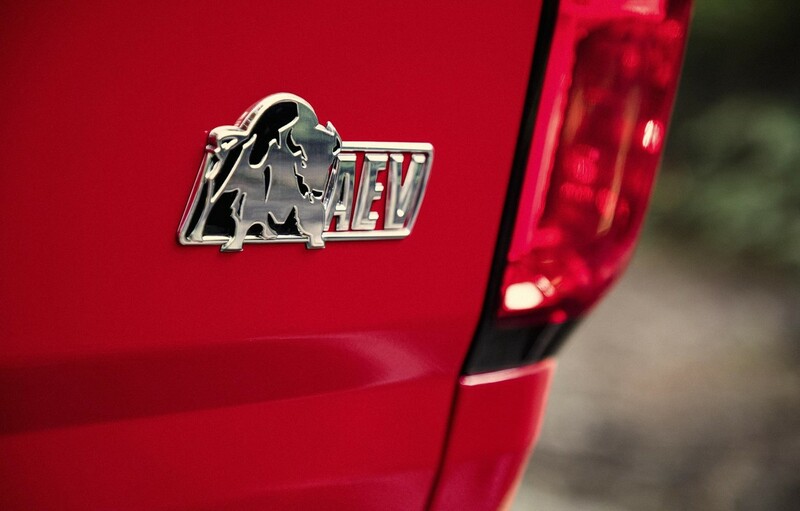 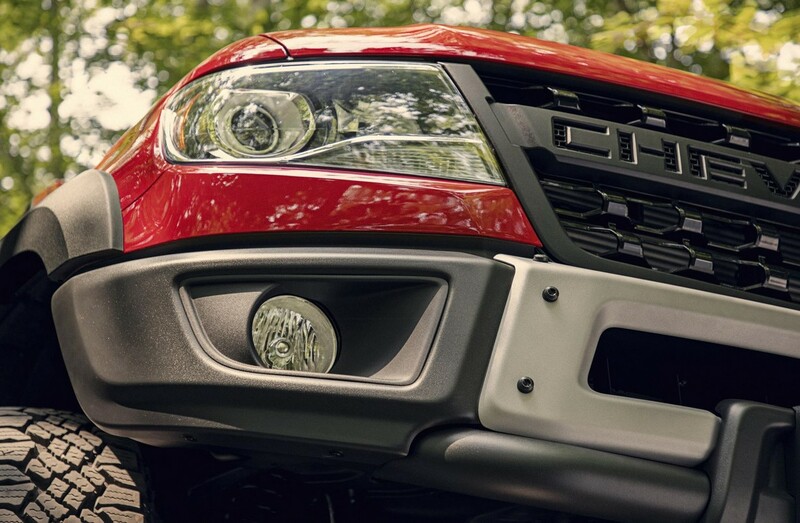 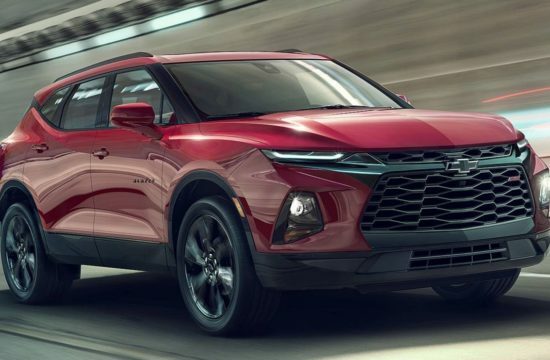 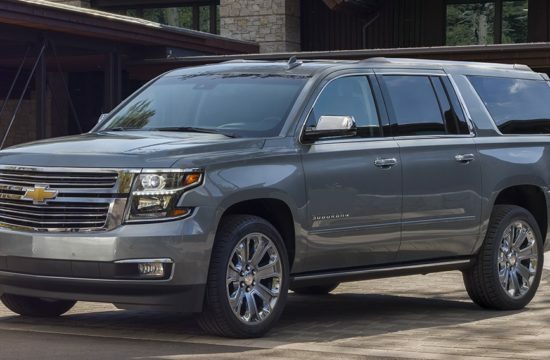 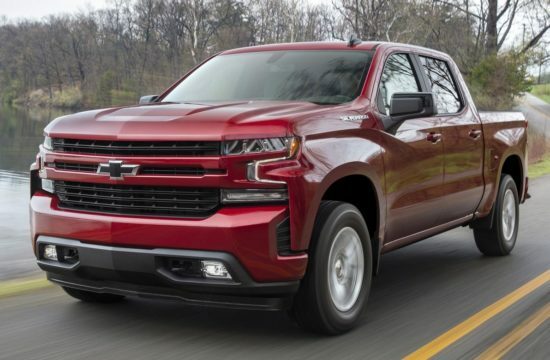 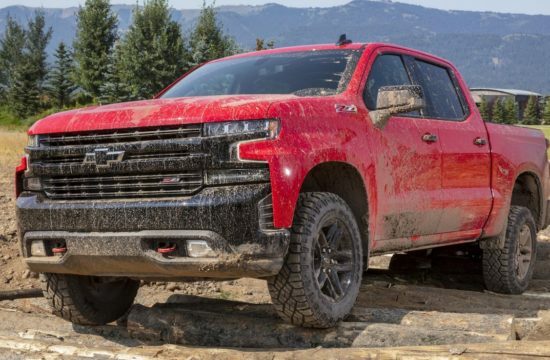 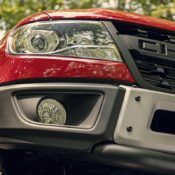 Chevrolet probably looked at the competition and decided in order to remain competitive in the cool pickup market they have to think outside the box. 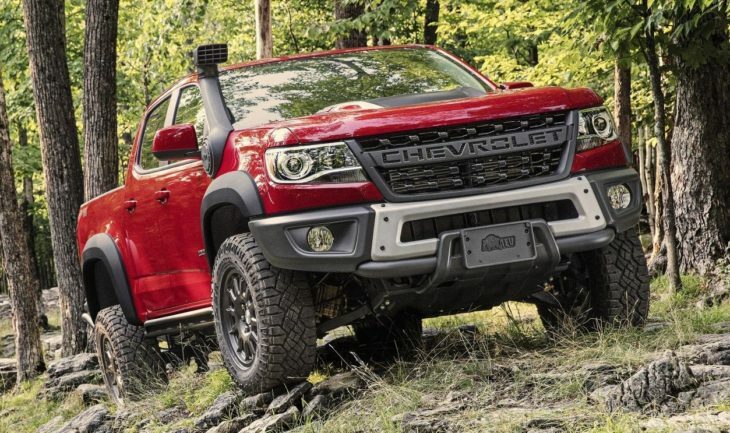 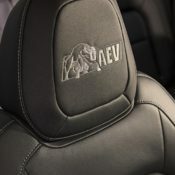 So they teamed up with offroad specialist American Expedition Vehicles (AEV) for special project: the Colorado ZR2 Bison. 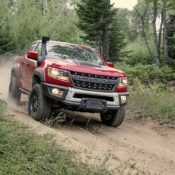 This magnificent looking truck is a performance-oriented variant of the Colorado equipped with professional offroad gear for serious enthusiasts. 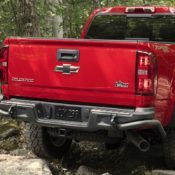 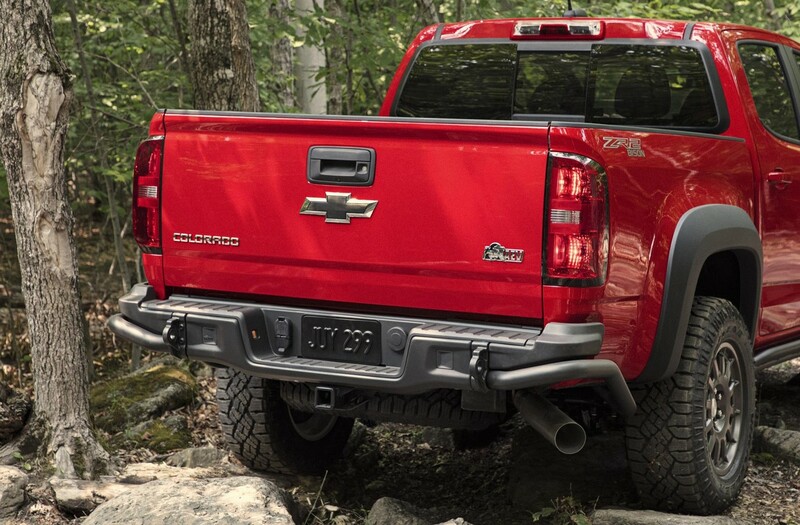 2019 Chevrolet Colorado ZR2 Bison features five skid plates covering the engine oil pan, fuel tank, transfer case and front and rear locking differentials, all made from extra hard Broon steel. 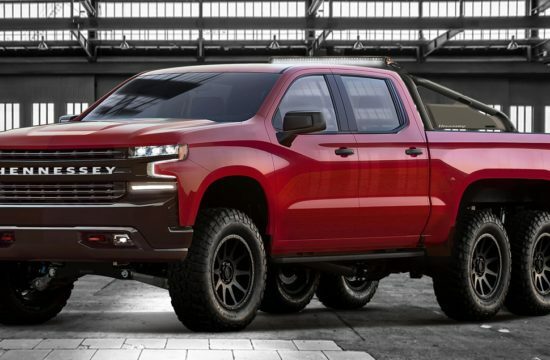 This alone should tell you what a serious machine this thing is. 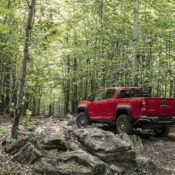 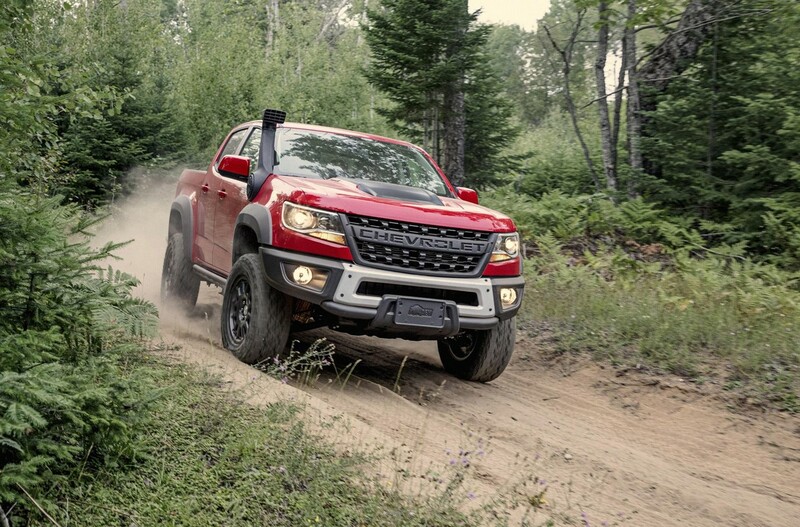 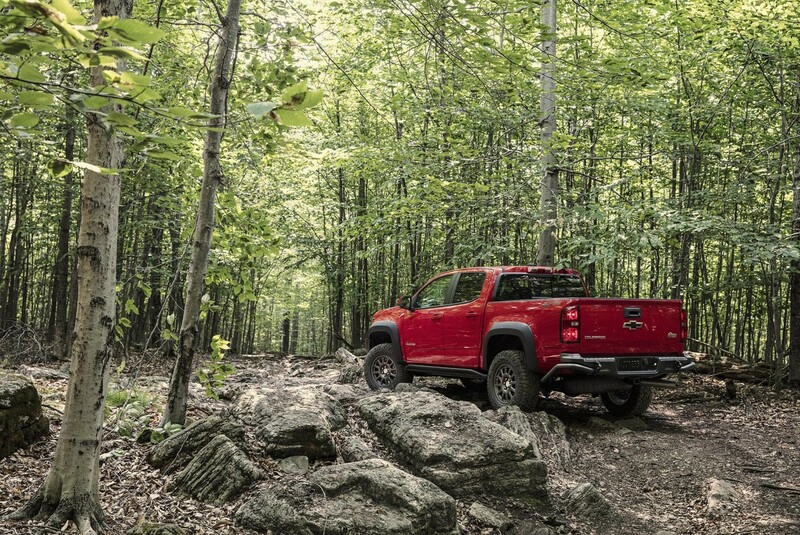 With a V6 gas engine and an eight-speed transmission, the Colorado ZR2 Bison is a beast on and off the road. 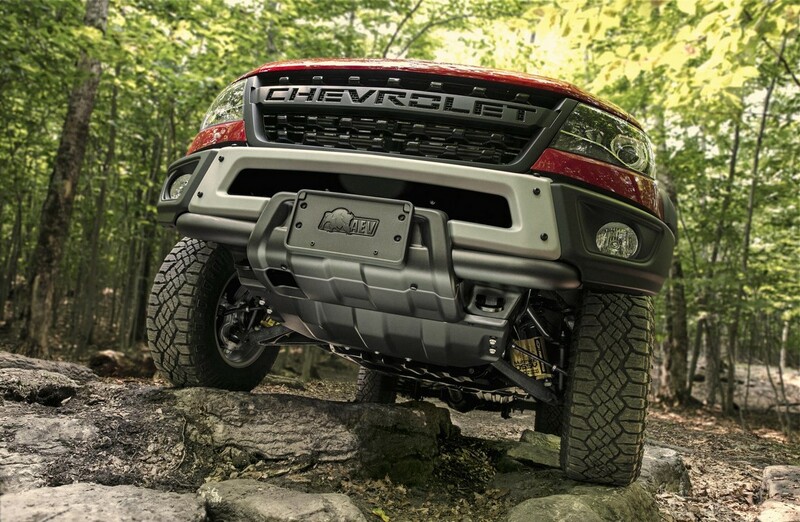 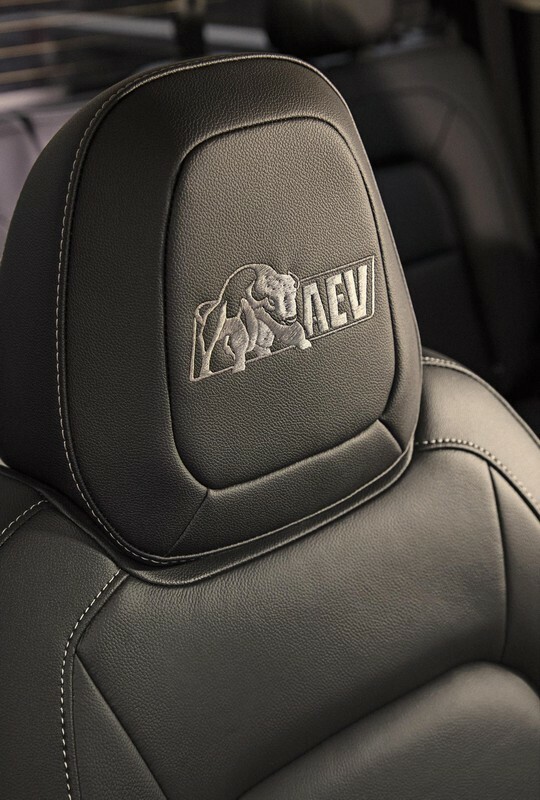 It comes with AEV-designed stamped steel front and rear bumpers, 17 inch wheels shod with 31-inch Goodyear Wrangler Duratrac off-road tires, “CHEVROLET” lettered grille, BISON decals and AEV logo floor liners and front head restraints. 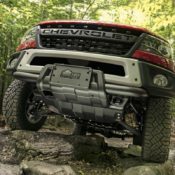 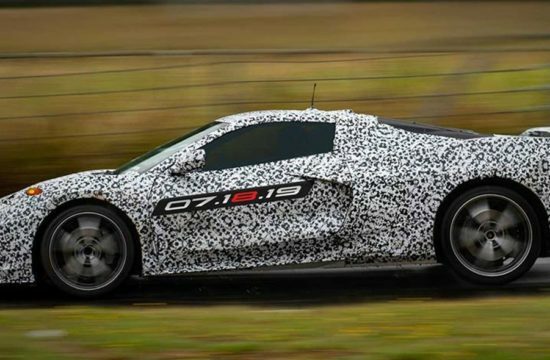 The vehicle also benefits from front and rear locking electronic differentials, Multimatic DSSV dampers, cast iron control arms and Autotrac transfer case. 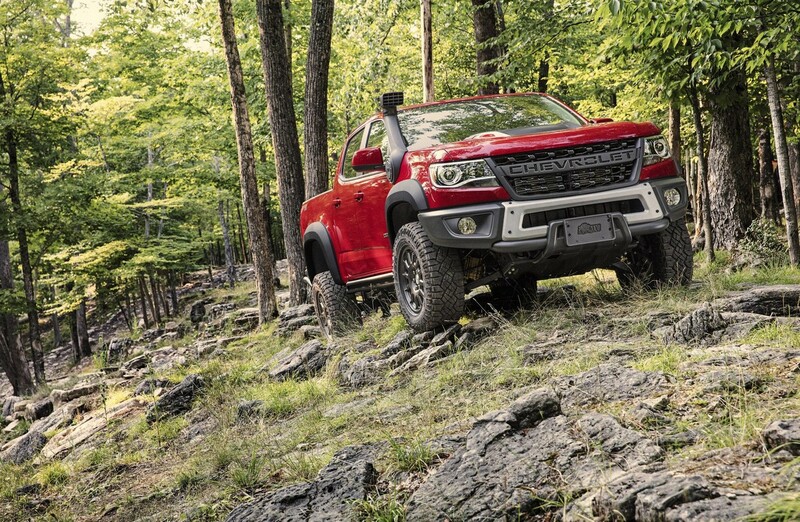 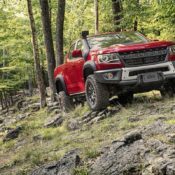 Optionally, you can order your Chevrolet Colorado ZR2 Bison with a 2.8L Duramax Turbo-Diesel engine (186 hp/369 lb-ft) and a six speed manual gearbox, and in crew- or extended cab configurations.